The 41st Claremorris Drama Festival was held from March 11th to 21st, 2011 (excluding the 17th). 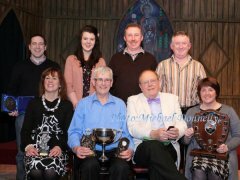 The Adjudicator for the 2011 festival was Garry Lombard from Wexford. Click here for more details on Garry. This entry was posted on January 19, 2011 by Enda McCallig.